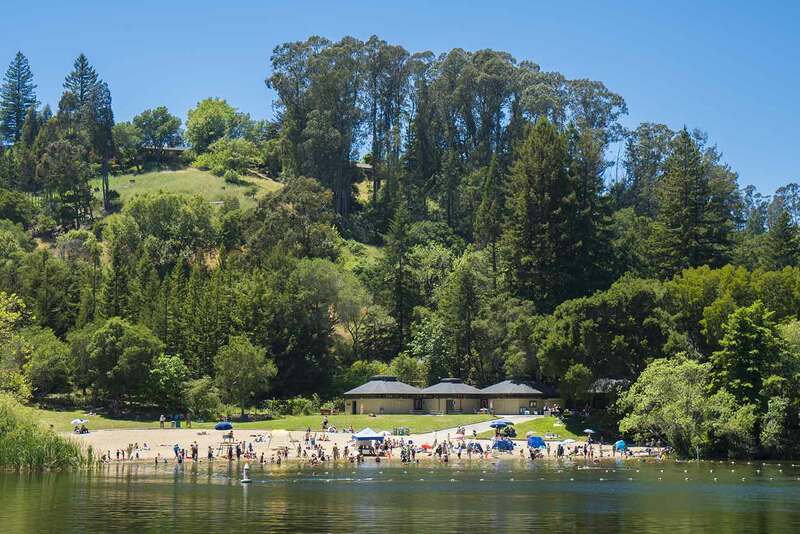 Tilden is one of the East Bay’s oldest parks, and it remains one of the best. 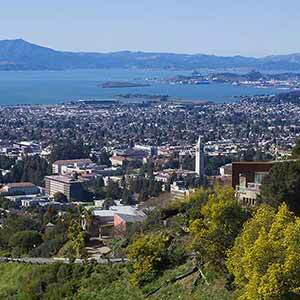 Its unique variegated look — hilly meadows streaked with many kinds of woodland — and its genteel, civilized notion of nature perfectly complement the opulent Craftsman-style neighborhoods of the Berkeley Hills. 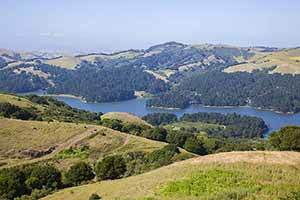 Tilden isn’t so much a place for hiking as it is for extended nature walks. The park is centered around a heavily-developed canyon with lots of group picnic areas, a swimming lake (Lake Anza), a nature center, a childrens’ farm, a huge merry-go-round that dates to 1911, a botanic garden, an elegant event hall (the Brazil Building) and a golf course, all of which are very popular. 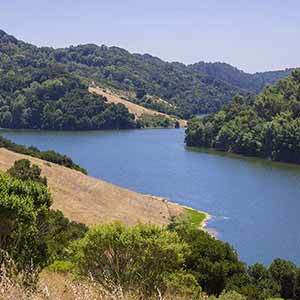 A dense network of trails climbs into the remarkably scenic hills above the canyon, offering views of San Francisco and San Pablo Reservoir. 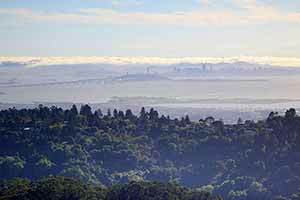 Tilden’s trails connect with the larger Wildcat Canyon Regional Park to the north. 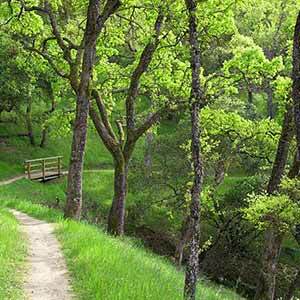 It’s surprising how quickly the landscape changes as you cross the park boundary; Wildcat Canyon has a rather severe look, without the attractive stands of trees or the sheltered, civilized feel of Tilden. 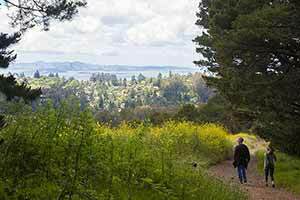 This hike starts at Tilden’s busy visitor center and climbs to a little peak with great views over Tilden Park and the East Bay. The wooded descent ends at the Little Farm. 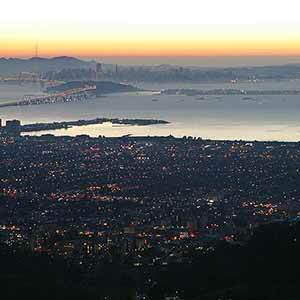 The popular Seaview Trail also leads to a peak with great views. The trail is more open than the Wildcat Peak loop and it’s mostly on dirt roads. 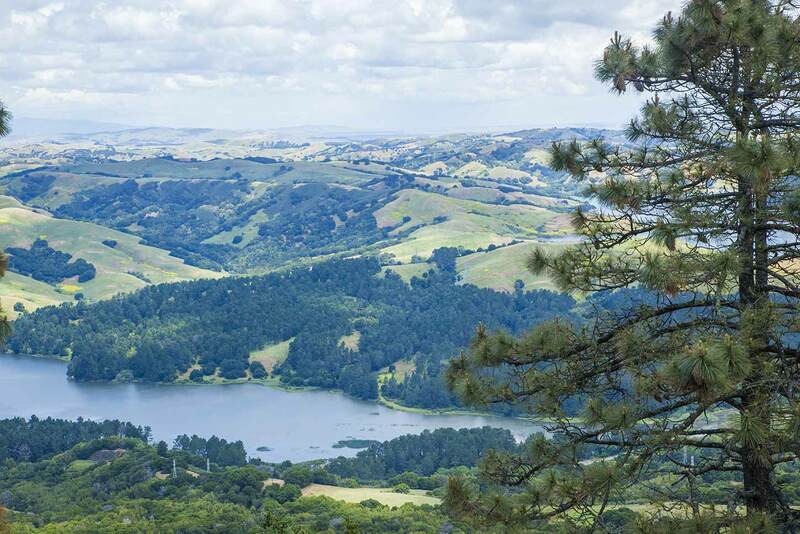 This epic hike starts in Tilden Park, climbs over Wildcat Peak, runs along the shore of San Pablo Reservoir, and then climbs back to Tilden Park. Along the way are great views and a lot of variety. Requires an EBMUD permit. 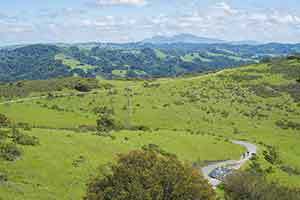 This loop starts on an old paved road through Wildcat Canyon and then climbs to a rather lumpy ridge with nice views of Richmond and El Sobrante. The lower-elevation parts are OK, but the ridge really makes this hike. 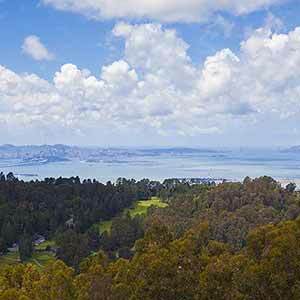 This is Berkeley’s most popular trail, mainly because it’s paved and relatively flat. 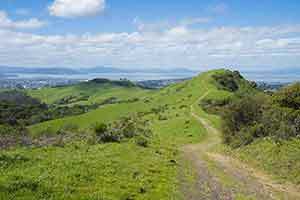 The open, sunny trail, an old road built in the 1950s to access a Nike missile installation, runs along San Pablo Ridge with decent views of San Pablo Reservoir and glimpses of the bay.